Combined with our exclusive A / B morphing system, these five functions allow global and efficient control of the equalization curve, instantly. The preset manager allows saving of global presets made up of two different presets including the A / B morphing slider position. 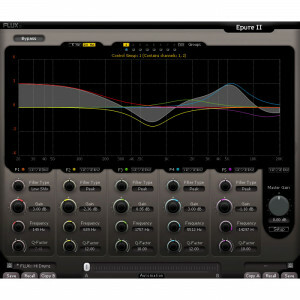 Note also that factory presets are now provided for every plug-in. 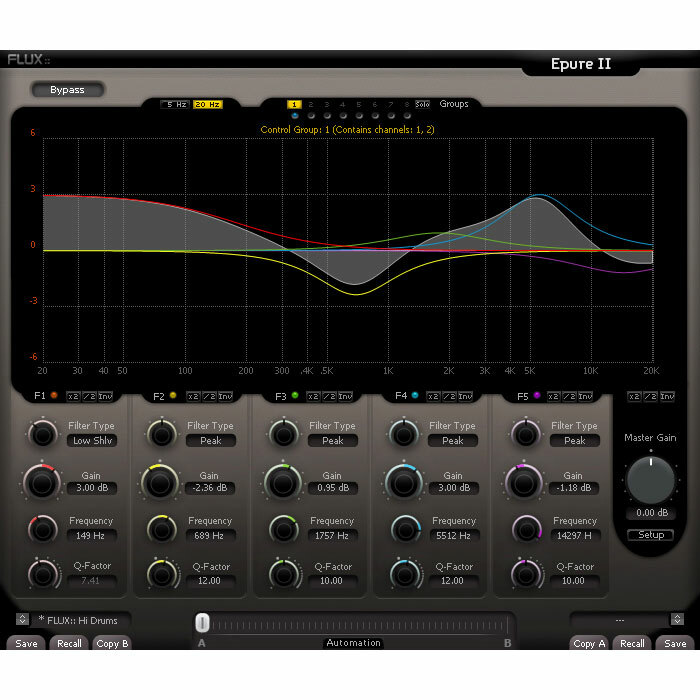 Epure II includes internal input / output routing. Channel group management allowing many channels or individual channels to be set, is also available from the new setup window. From this window, up to 4 MS encoders and up to 4 MS decoders can be engaged if required.